For Canada Day, let’s have a quick look at one of Canada’s most popular science centers: Science North. Even though I spent seven years in Toronto, I never managed to make it up North, to Sudbury. This mining town in Ontario was established when railroad workers discovered nickel ore during railway construction. The town’s nickel mining heritage is highlighted in one of its tourist attractions, the Big Nickel. A much bigger attraction in Sudbury, though, is Science North. 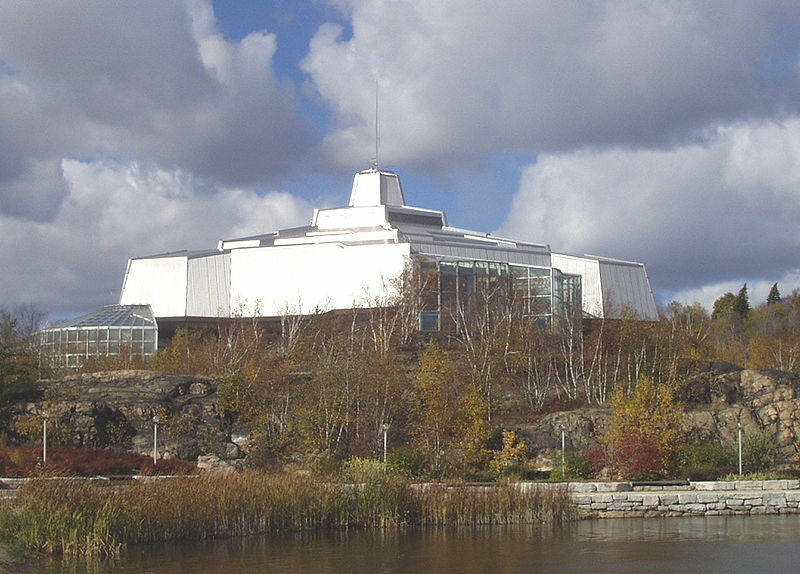 It follows the common formula for big science centers, with various exhibits, evening entertainment, and an IMAX theatre, but, true to its name, Science North does offer some unique exhibits specific to the science and technology of Northern Ontario, including exhibits on local wildlife and the local underground physics lab SNOLAB. They also co-run a science communication degree with Laurentian University. Science North is one of the science centers I’ve heard only good things about from people who either visited it or worked with them, and if I’m ever in Ontario again with some time to spare for a trip up North, I will visit!